Though we do love a good, healthy dose of athleisure, sometimes it feels good to put on something a little more formal, and what better way to make you feel a little fancy than a good ruffle sweater? Despite its frequent pairing with lace, the flouncy detail can definitely be cooler than you might expect. As a nod to the romantic era, ruffles are one of the most whimsical types of embellishments out there, and they’re bound to make you feel dressed up no matter what you wear. 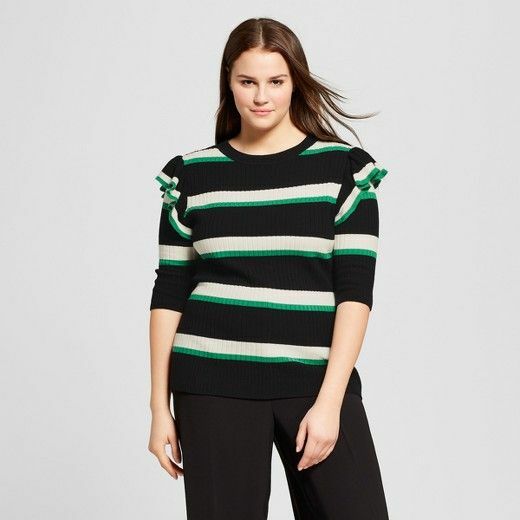 Whether it’s paired with a set of distressed boyfriend jeans or a classic midi skirt, a cool ruffled sweater will instantly give you a flirtatious vibe. Wear yours loud and proud with a great statement ruffle, or if that’s not typically your style, ease into the trend with small frills along the neckline or sleeves. No matter which way you go, you surely aren’t going to go wrong. Crochet for when you aren’t at Coachella. Brighten your day with this crop top. Let this be your answer to the off-the-shoulder top. This will keep you warm any day. Perfect for a romantic night out. Wear this sweater with skinny jeans or a skirt. Royal blue will catch some eyes. Who doesn’t love a good statement ruffle? Statement sleeves are always a yes. Dress this down with a pair of loose-fit jeans. Let this pocket detail shine. This jewel-tone sweater is everything.